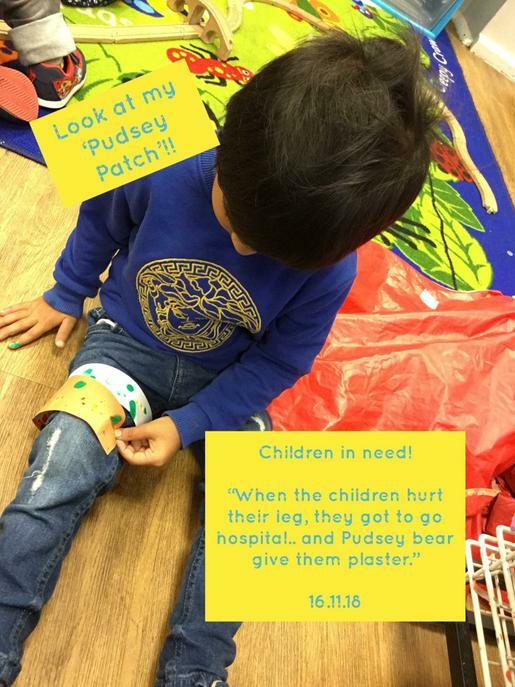 Today in nursery, we learnt about how we could help the children who are in hospitals and make them feel happy. 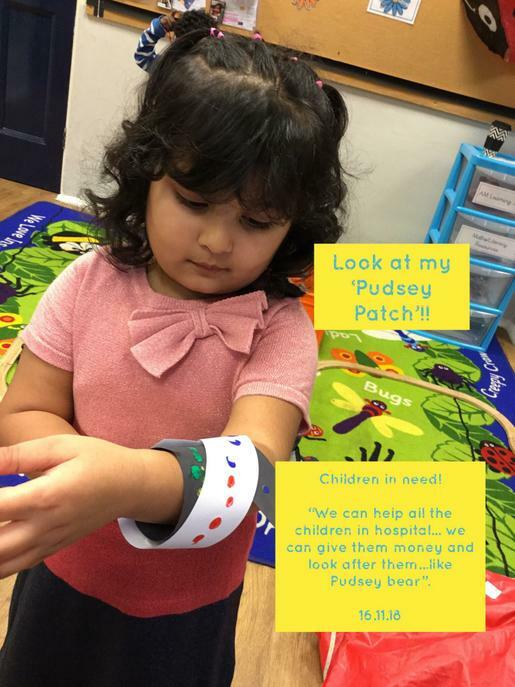 We looked at all the helpful things Pudsey Bear does, and talked about what sort of things our charity money could help towards. 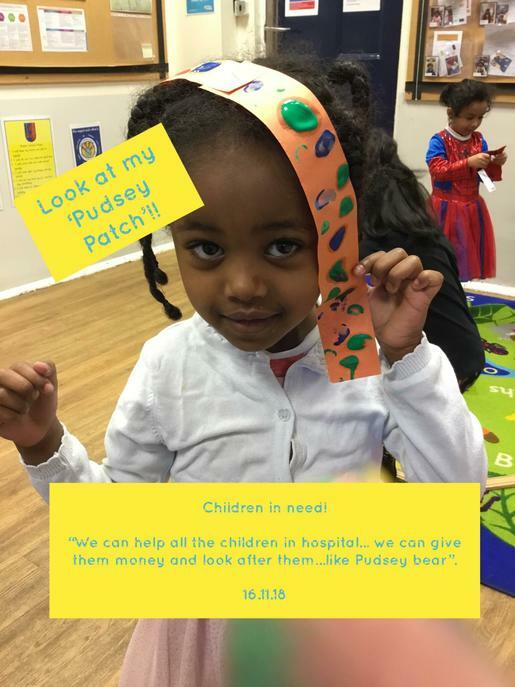 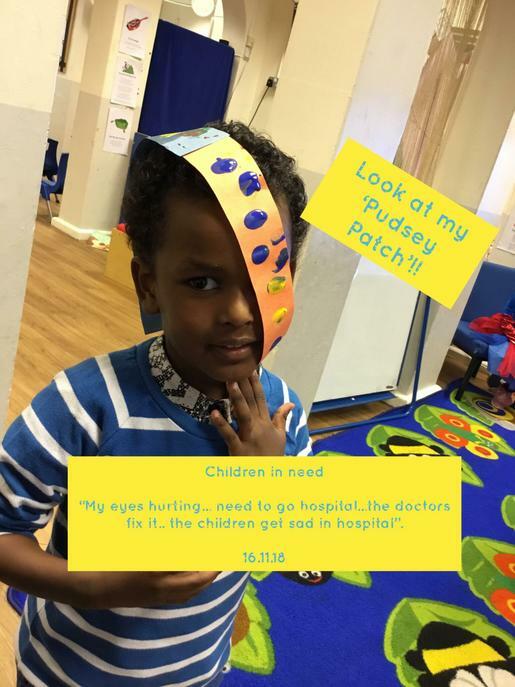 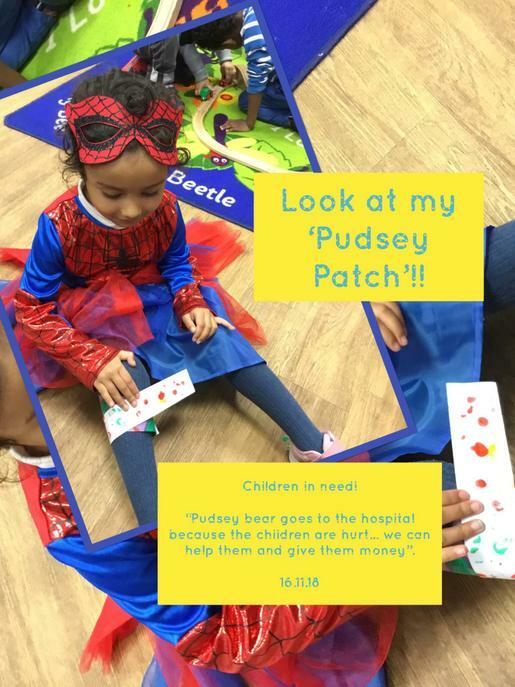 We also made our very own 'Pudsey patches'! 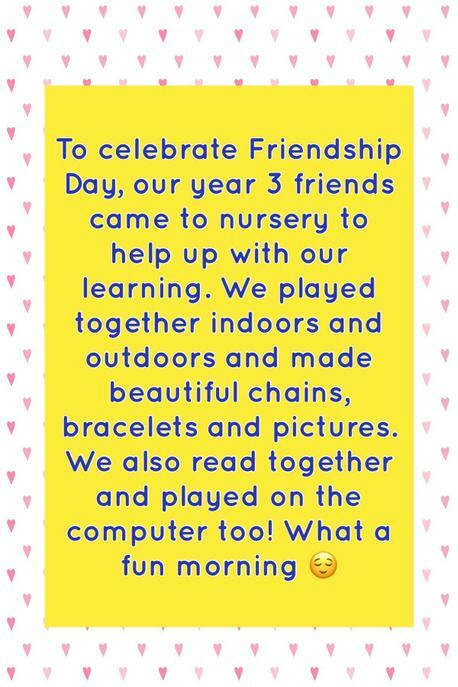 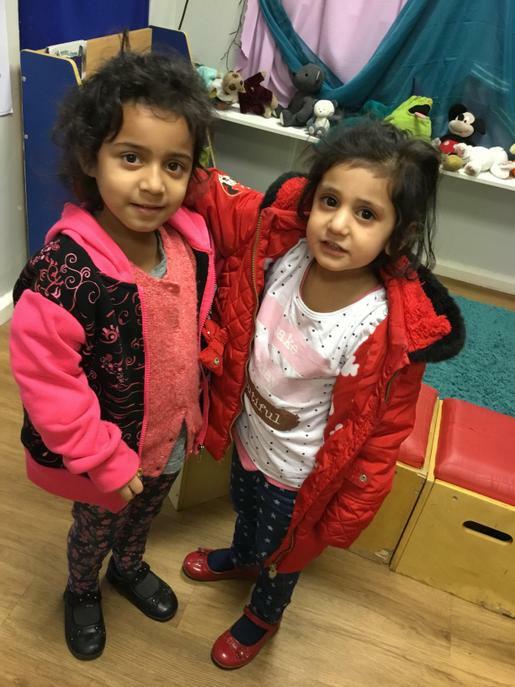 HAPPY FRIENDSHIP DAY from Alston Nursery!! 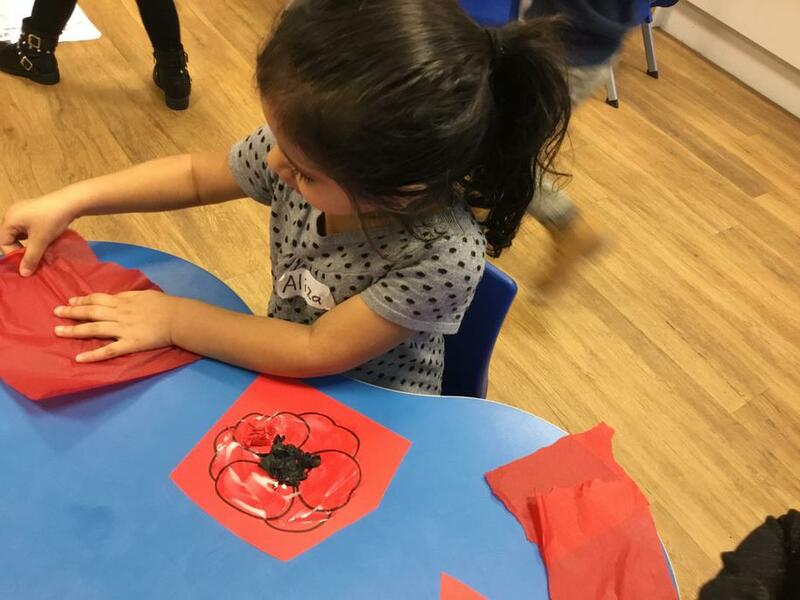 In nursery, we have been finding our about Remembrance Day. 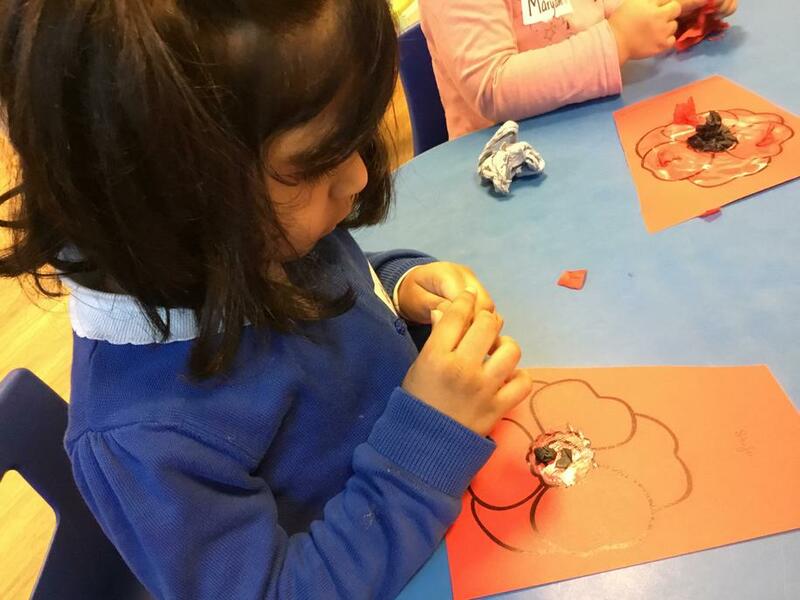 We learnt about the brave soldiers who fought and died in the war to save our country, and looked at poppies that grew in the battlefields once the war was had ended. 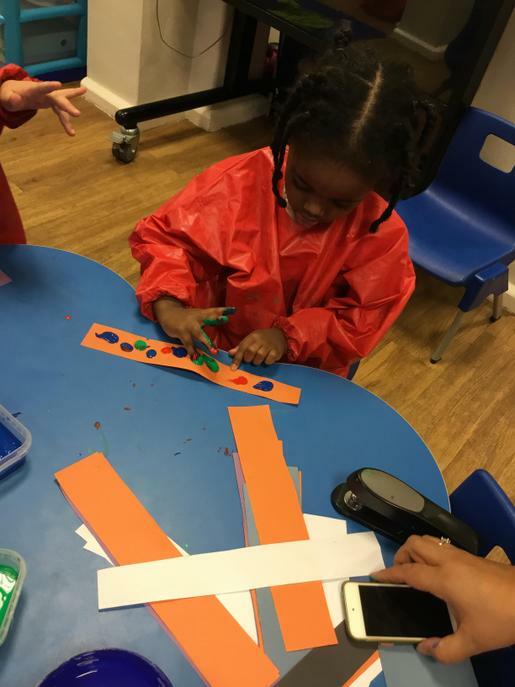 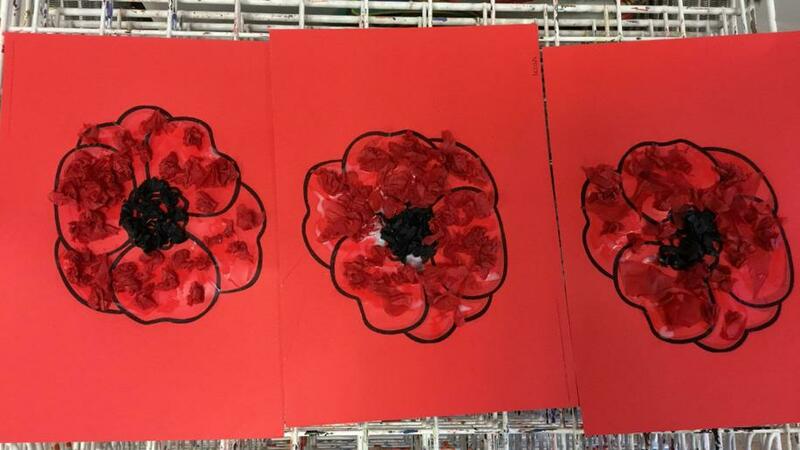 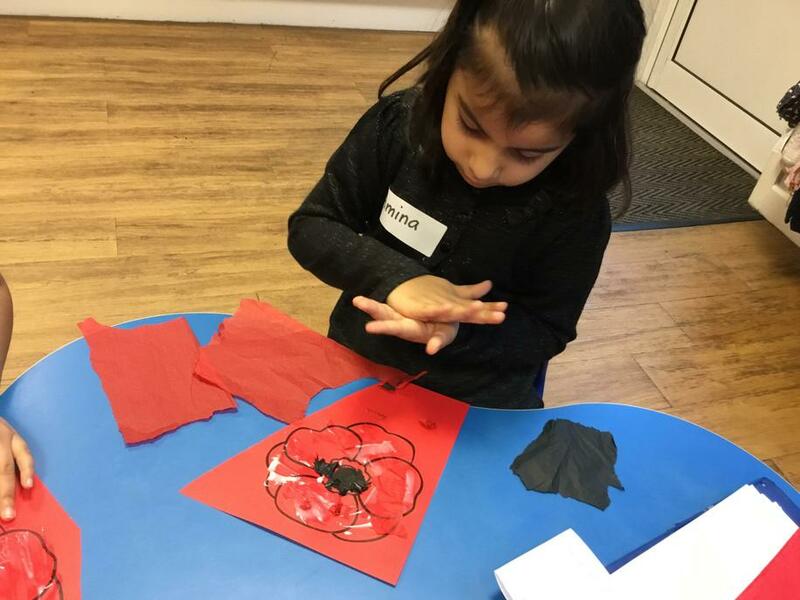 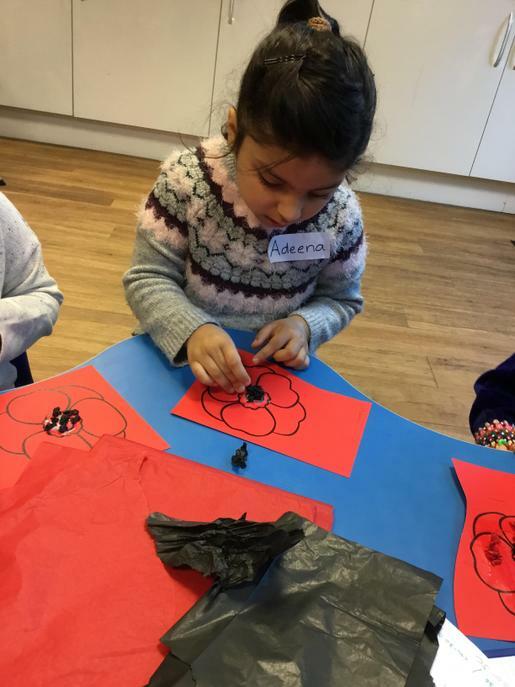 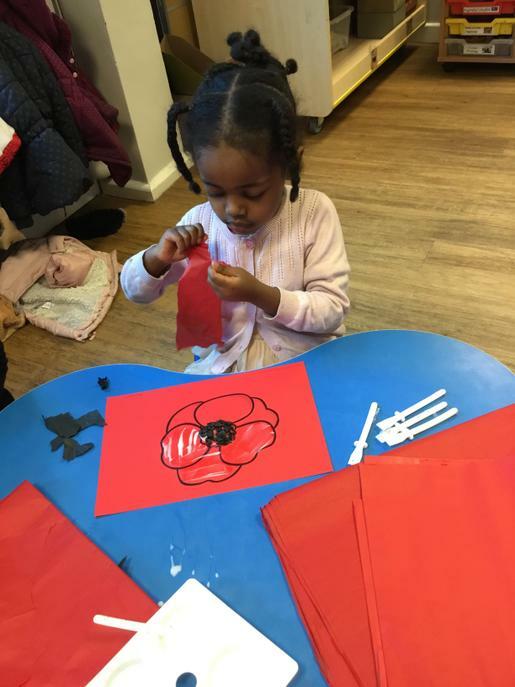 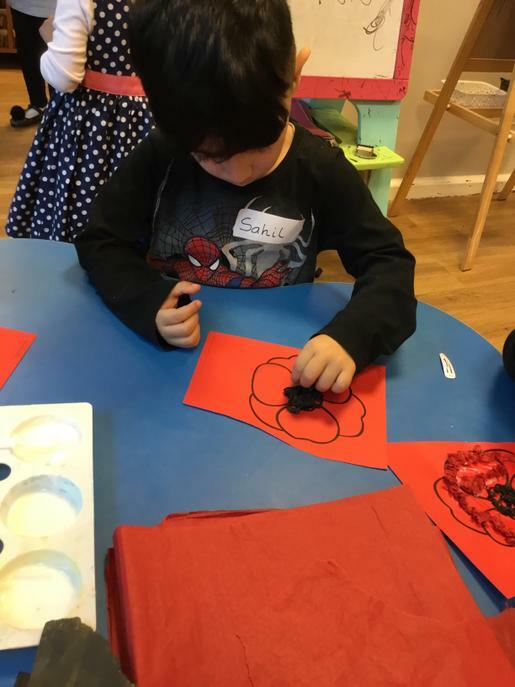 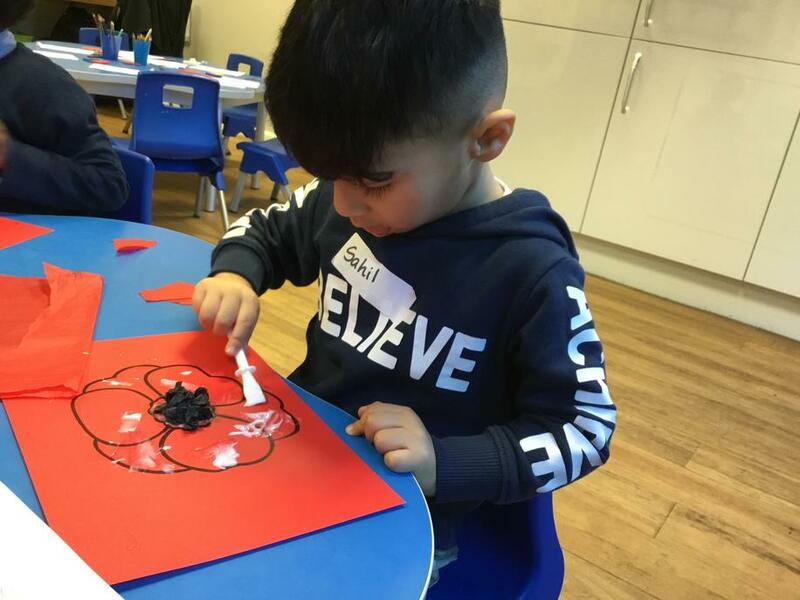 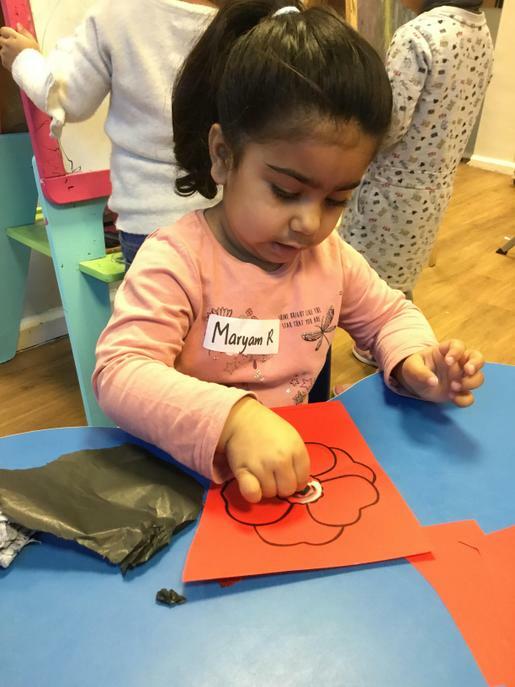 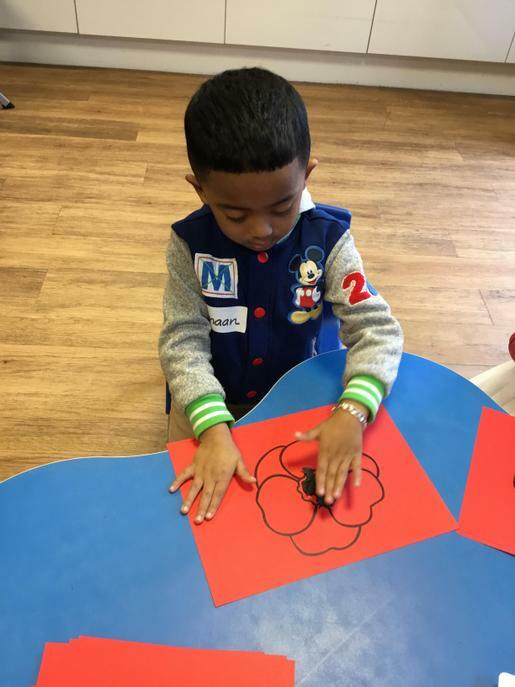 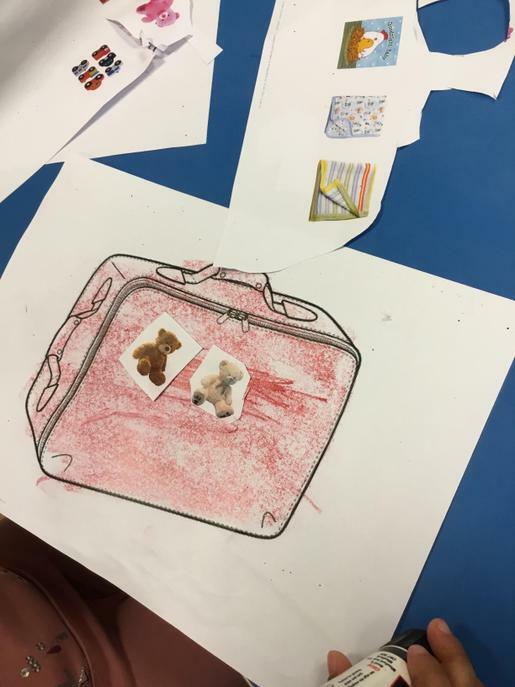 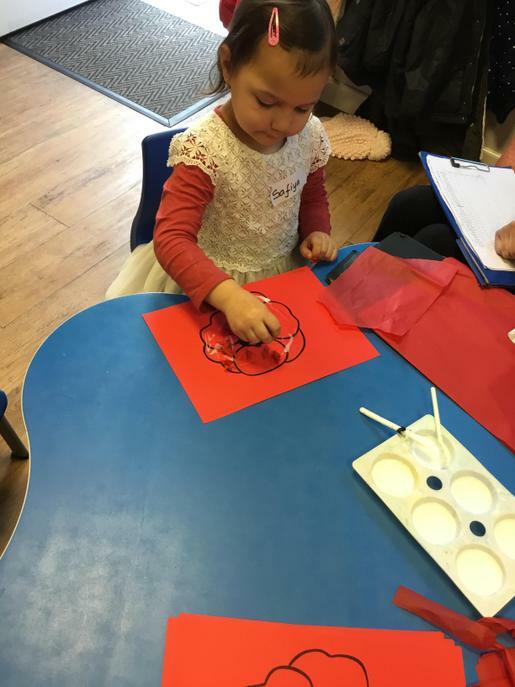 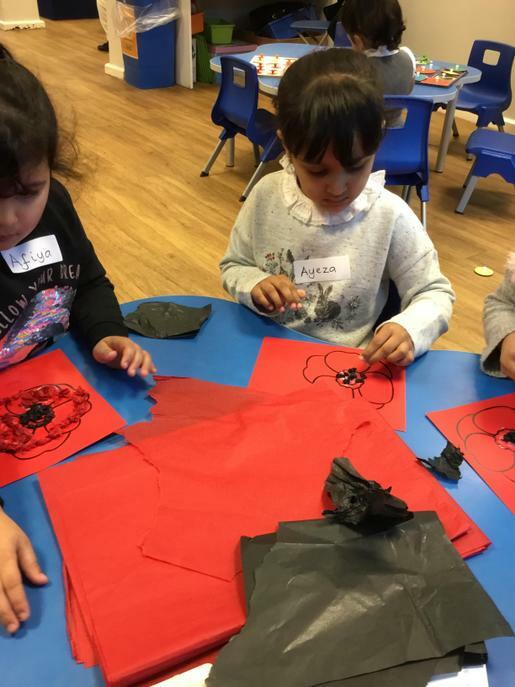 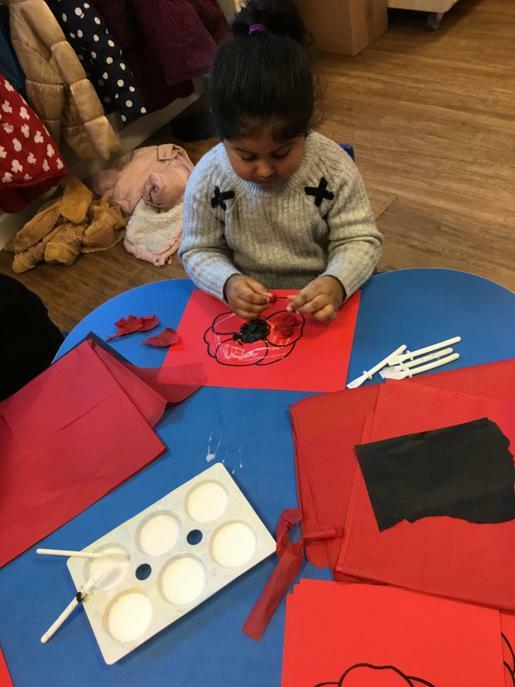 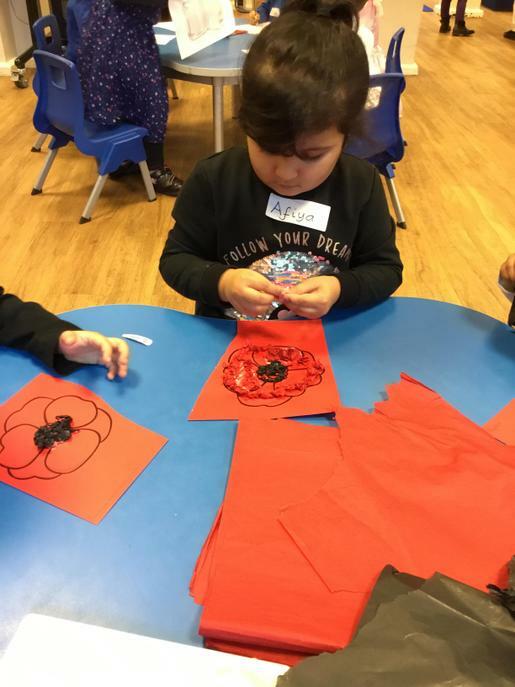 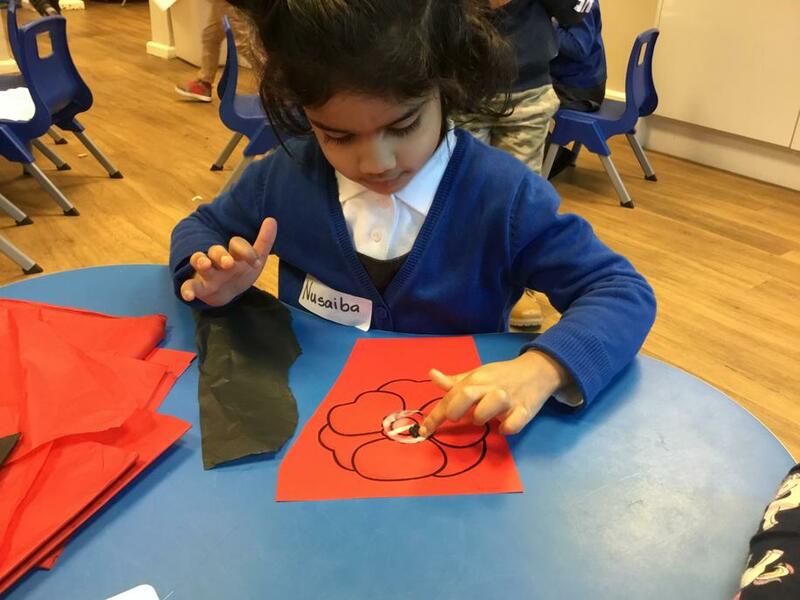 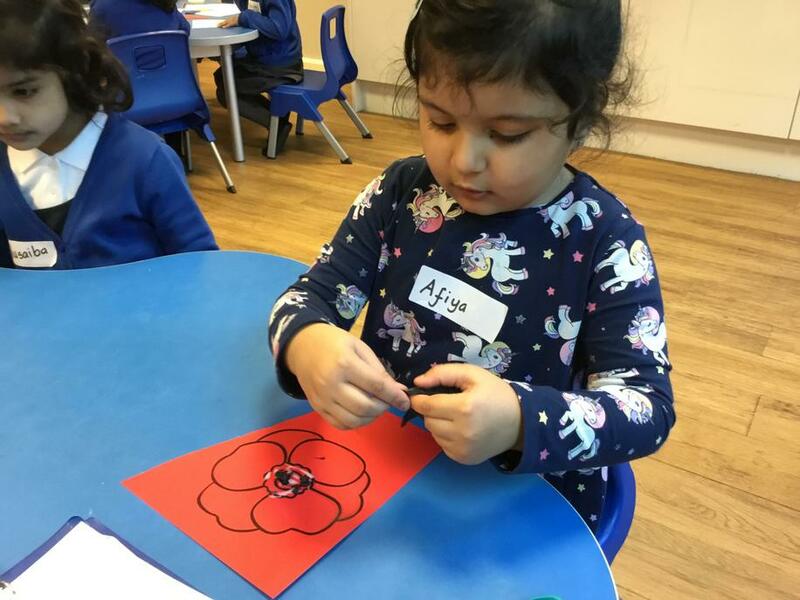 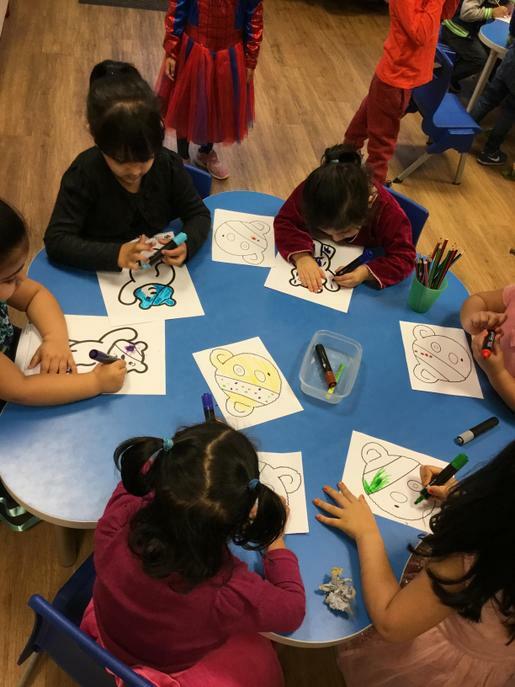 The nursery children collaged their own poppies using red and black tissue paper, and talked about what they would pack inside their suitcases if they were made to their homes. 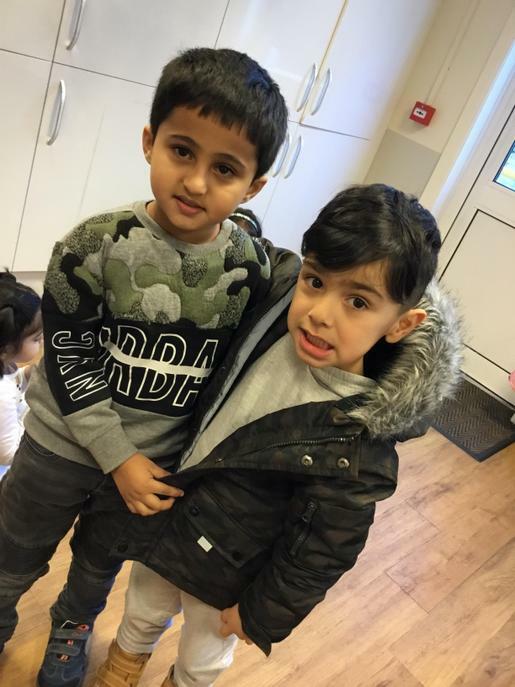 Our topic this half term is called 'Why is water wet?'. 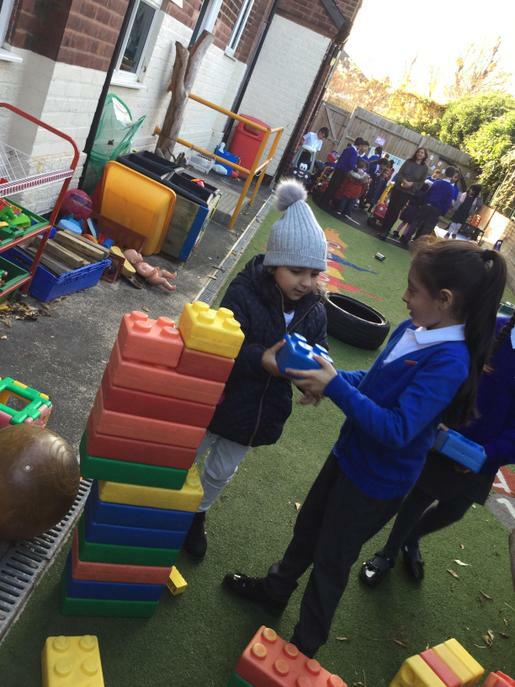 In nursery, we will be exploring water, both indoors and outdoors, and in a range of ways. 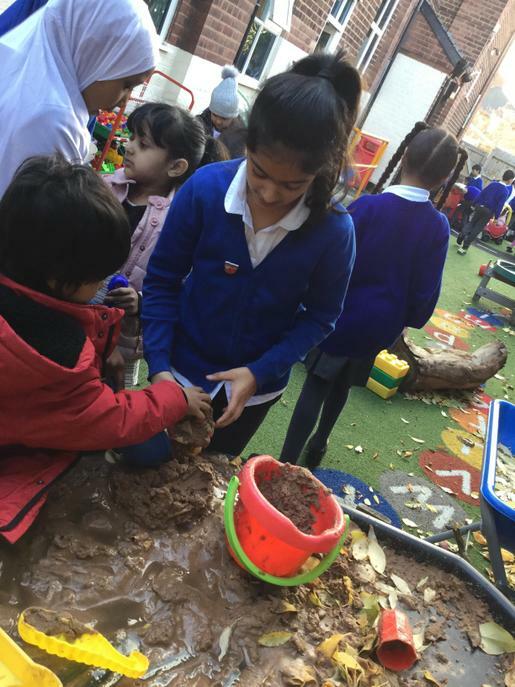 The children will focus on the changes in the state of water at different temperatures and will have lots of fun mixing water with malleable resources to investigate what might happen and exploring weather changes too. 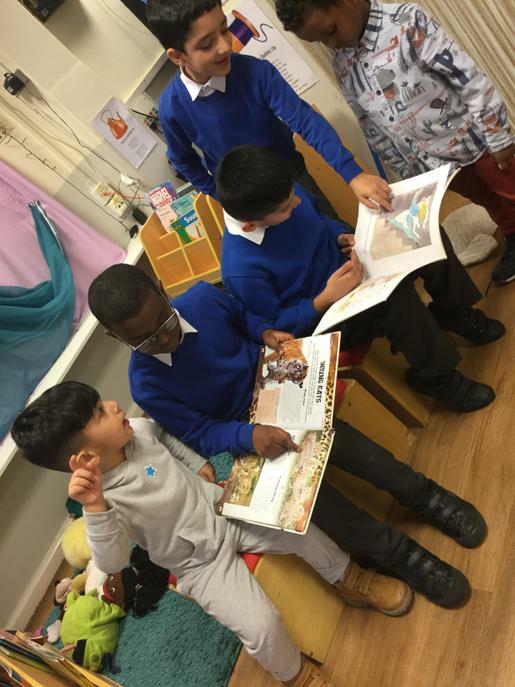 We will also be getting some surprise visitors to enhance our knowledge about why water is important in our lives...(ssshhhh). 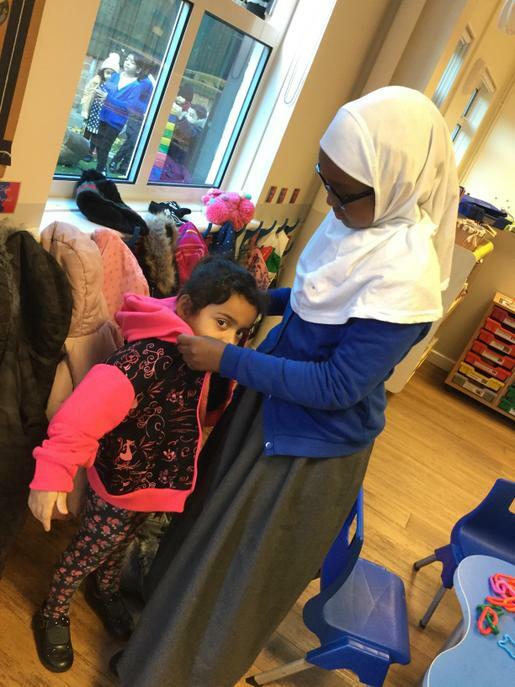 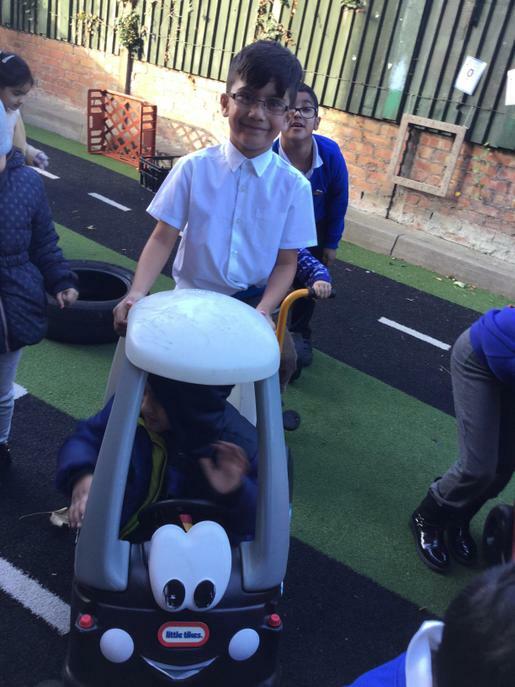 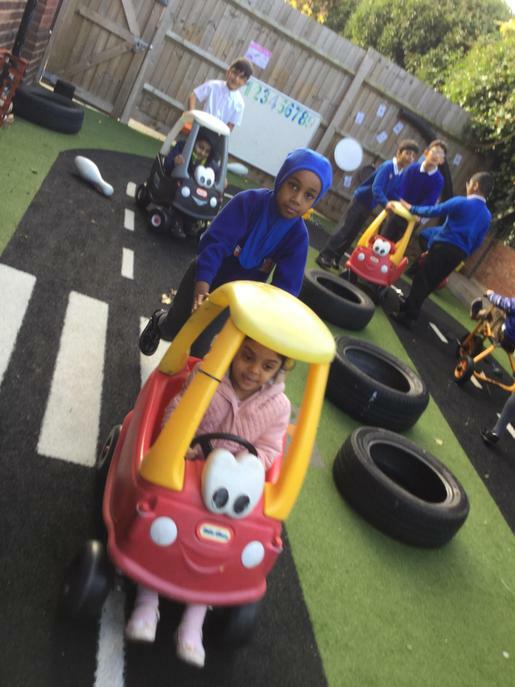 Could you please make sure that your child is dressed appropriately the weather as they will be learning in the outdoor environment daily. 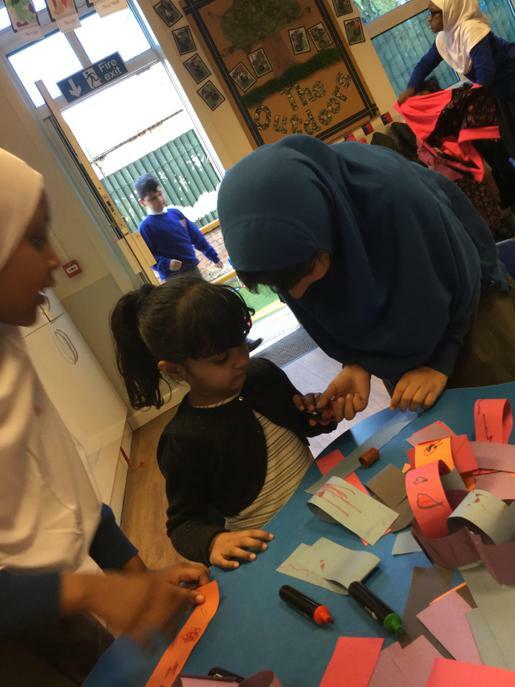 As of next week, we will be beginning our maths and phonics sessions in our keyworker groups. 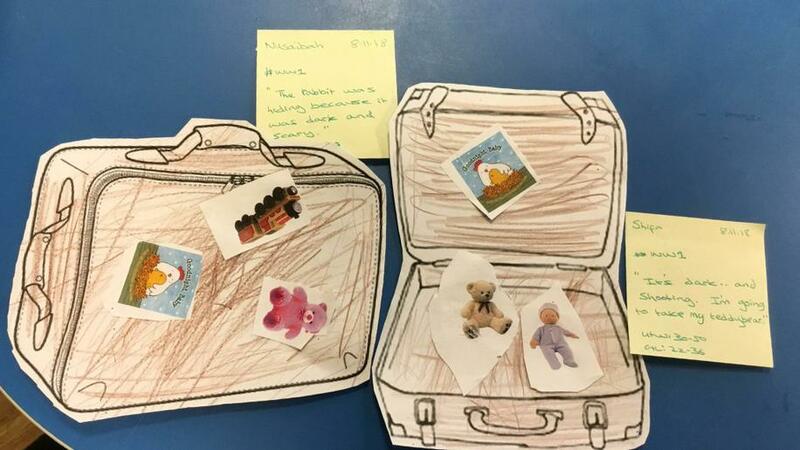 In phonics we will be tuning into our 'Letters and Sounds' program to make the children aware of the sounds around them. 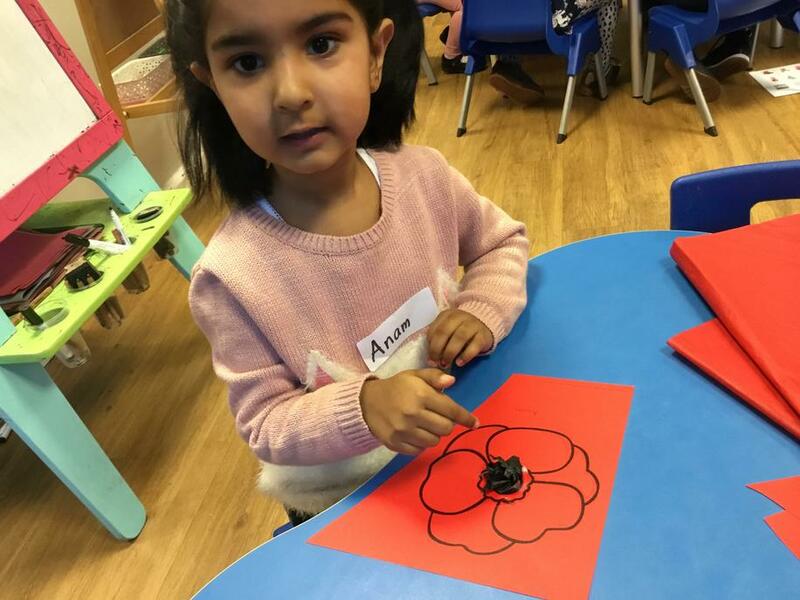 In maths, we will be learning one shape a week. 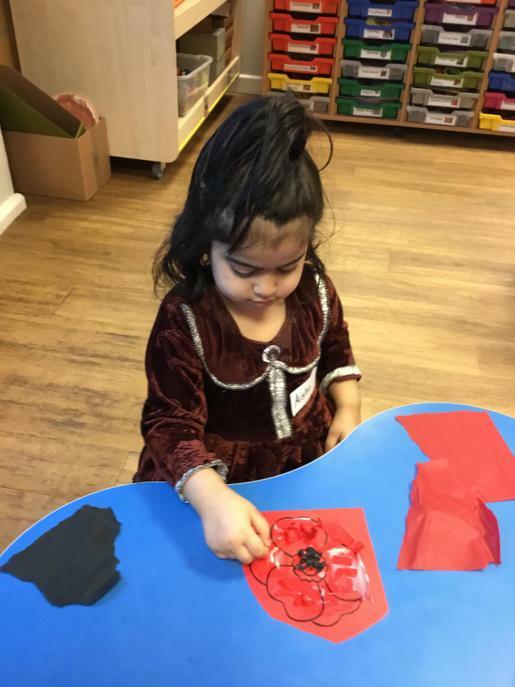 Please support your child with their learning at home.